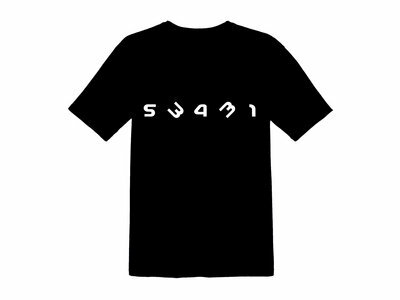 Printed official Swami '53431' logo on Gildan Soft Style cotton black T-shirt. Quality light cotton, comfortable and very limited edition! Last few available! Includes unlimited streaming of 53431 - Greatest Hits via the free Bandcamp app, plus high-quality download in MP3, FLAC and more.